People of all ages are invited to visit Amuseum Naturalis at The Old House this Sunday from 9am to noon. St. Martin’s free museum of nature, history and culture is celebrating the launch of its summer preview with an open house event. Amuseum Naturalis is a museum dedicated to sharing all that is unique about St. Martin. It was developed by the non-profit association Les Fruits de Mer. During 2016 and 2017, it was located in Grand Case. The association is relaunching and expanding the Amuseum at the historic Old House in French Quarter. The summer preview includes an exhibit hall with eight exhibits. 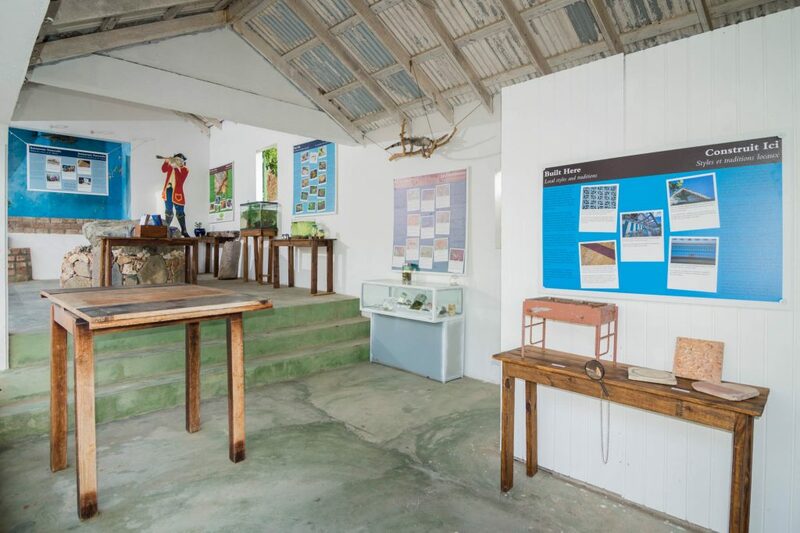 Visitors will discover fascinating displays on topics like animals found only on St. Martin, traditional building techniques and the tree with the hardest wood in the world. They can also see projects in progress, like the Amuseum’s bush tea garden. The open house is Sunday, July 22nd from 9am to noon. Following the open house, the Amuseum will be open Monday to Friday from 9am to noon during July and August. Admission to the Amuseum is free. Schools and youth groups are invited to contact Les Fruits de Mer to arrange a group visit. Amuseum Naturalis at The Old House is located in French Quarter at the top of the hill above Le Galion. For a map and more information, visit http://amuseumnaturalis.com.